This gentleman was my maternal grandfather, so this story was told and retold many times in our family and he even talked about it himself. In fact, he was interviewed by a reporter for one of the Buffalo NY papers and the article ran on April 16, 1929. 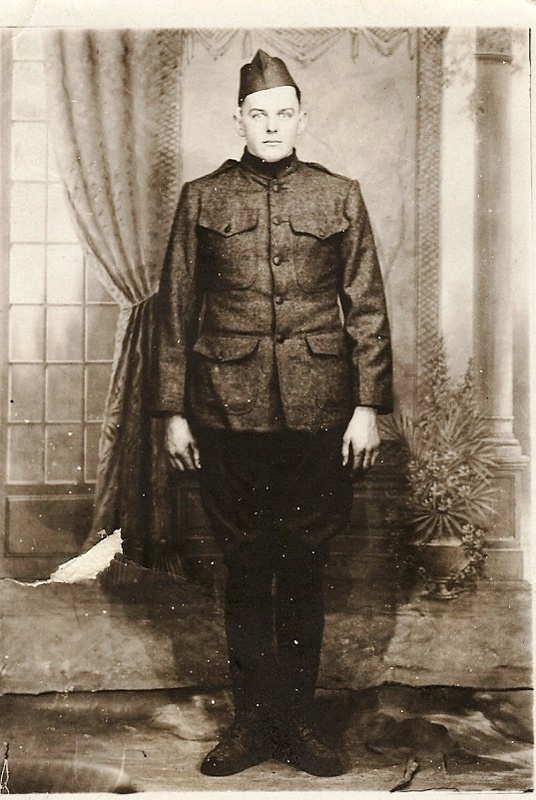 Private George W. Woodruff of Company D, 312th Infantry, landed in France in May of 1918. He was drafted into the Army and I believe he went to Camp Drum, NY for basic training, then to New York City to catch a boat to France. He told me much of their training continued aboard the ship while crossing the Atlantic and then there was more drilling in England to recover from the crossing, not that the Army needed an excuse to drill. From there on to France to help fight a bloody war that had been going on for several years. A web site article says the 312th Infantry was formed at Fort Dix, NJ, but I don’t recall him talking about being there, although I suppose it’s possible. He grew up on a dairy farm, but was a butcher by trade, so the Army made him a cook. Not a glorious job, but necessary to help feed the thousands of troops, that numbered over two million near the end of the war. His unit served in two major offensives, The St. Mihiel and Meuse-Argonne. The former ran from Sept. 12-19, 1918 and the latter from Sept. 26, 1918 to November 11, 1918. The first offensive was relatively short, but U.S. Forces still took 10,000 casualties. The second offensive was brutal with 26,777 reported killed in action. I don’t believe he saw any front-line action in the first offensive, but all able-bodied soldiers were called upon during the second to man the front lines. I asked him what it was like, and he said that when in the trenches, if you raised your head over the log, you would be shot by a Dutchman (German) 50 feet away. And, to add to an already bad situation, the trenches were cold and muddy, and sanitation was practically nonexistent. Meanwhile back home, my Grandmother Mildred Wienk Woodruff received a Government notice saying her husband had been killed in action on Oct. 23, 1918. According to the newspaper article, she hung a gold star in her window and grieved for her husband. Fortunately, a couple weeks later, a letter arrived and was dated a week later than his death date, so she had some hope. However, the War Department continued to send her missives to substantiate his death. 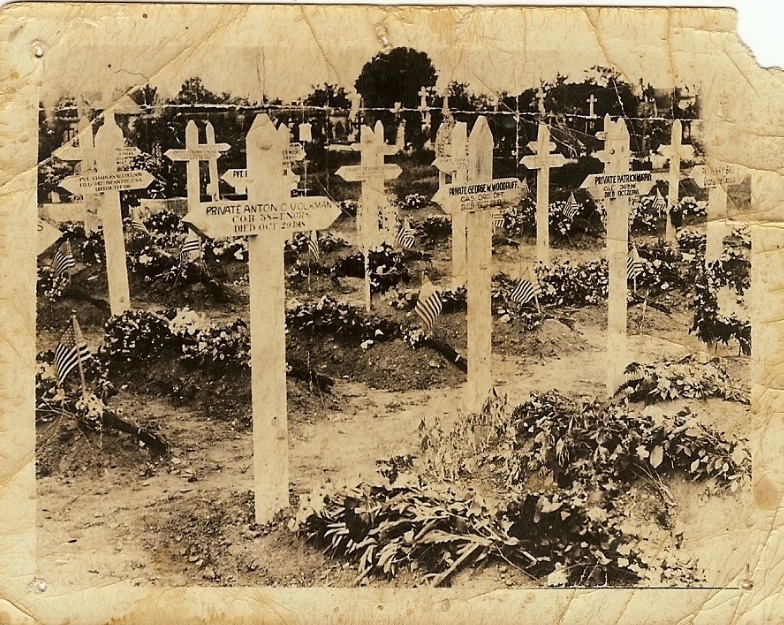 Among them, a death certificate and a picture of his grave in France. He continued writing, so she believed him and was rewarded with his return in July 1919. As you can imagine, Grandpa was getting a little fed up with the whole situation, but it hadn’t ended. Shortly after his return, New York State gave returning soldiers a war allowance and he had trouble getting his because they didn’t give it to dead soldiers. Fortunately, the American Legion intervened on his behalf to get it rectified.